in.touch 2 streamlined iOS or Android applications make it very easy to control and program all the functions and features of your spa from your smartphone or your tablet. Even when you’re away from home, you get a full control of your water-care settings, filtration cycles, water temperature, economy modes and a lot more. Push notifications will always keep you informed on the status of your spa, even when your app is not open. You can get and download the iOS (8.0 or higher) and Android (2.3 or higher) in.touch 2 apps from the AppStore and the Google Play store. Before using your in.touch 2 app, go to the Wi-Fi section of your device’s settings. Make sure you are connected to your home network through the same router you have connected your home transmitter to. Find the in.touch 2 application icon, then tap on it to launch it. The first time you use the application, the message "in.touch 2" would like to send you notifications" will be displayed on your screen. If you choose Allow, the app will send you notifications about the status of your spa (highly recommended). If you choose Don’t Allow, the application will not send you notifications. If you change your mind later concerning notifications, you may add or remove notifications for the in.touch 2 application. On iOS, go in your settings menu and choose in.touch 2. Select the notifications menu, you can turn notifications on or off from this page. On Android, go to your settings menu and then into the notifications menu. Select the in.touch 2 app. You may turn notification, from this page. Before using your application, you must create an account first and then, you’ll be able to sign in. Your account will give you the opportunity to have access to your spa from any in.touch 2 application. The application will scan the network and look for your spa. It will display its name on the screen. By selecting it, your spa will be saved and will always be displayed to allow you to connect to your spa from anywhere. To delete a spa from this list, slide the spa name to the left and tap on Delete. The main screen gives you full control of your water-care settings, filtration cycles, water temperature, economy modes, accessories (pumps, lights, etc) and a lot more. The main circle displays states of your spa. Each state has its own color. Yellow indicates that there is an error on your spa. Blue indicates that there is presently an active user demand on your spa (pump, blower and/or light is on). Red indicates that your spa is now heating to your set point. Light blue indicates that your spa is now in a filtering cycle. Green indicates that your spa is now in economy mode. Grey indicates that your spa is idle (with no user demand, heating, no filtration or economy active). The home page displays a single color at a time. The color displayed is decided by priority of state. The priority follows the above illustrations: (1) yellow - (2) blue - (3) red - (4) light blue - (5) green - (6) grey. The spa state page lists all active states. 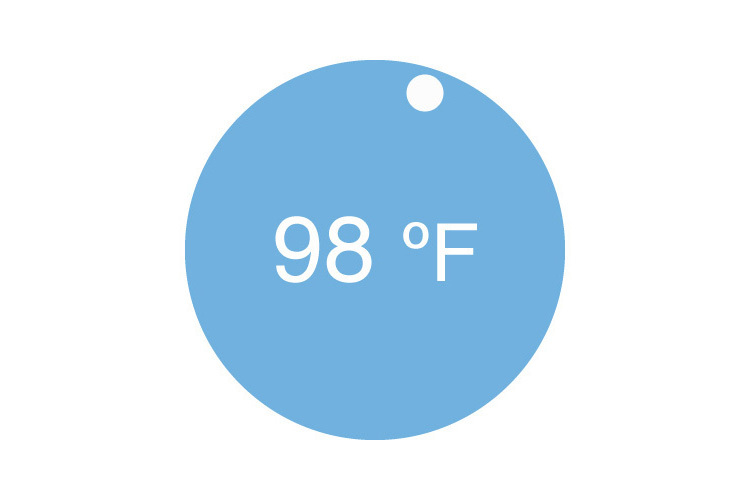 Touch the central circle to display the temperature slider. Slide your finger up to increase the value of the set point, slide it down to decrease it. According to your spa pack configuration, you can start or stop an accessory by simply touching the associated icon. The icon will become animated when the accessory is on. Simply press on the icon to start or stop the accessory. If your accessory has more than one speed, press the button until the desired speed is reached. To control your spa lights, simply press the button (circle at the end of the line) to turn it on or off. This menu is only available if an in.mix 300, Gecko's lighting control console for your spa, is detected in your spa accessories. To turn on or off the in.mix 300, you can use, if you want, the light icon on your home page. To go to your in.mix 300 page, simply swap to the left. The in.mix 300 page allows you to customize your color zones in or around your spa. The light bulb icons allow you to turn on and off your in.mix 300. To select a zone, click on the wanted one in the "zones selection" stripe. To change the color, use the color wheel to choose the one you want. On the left side, the intensity slider allows you to modify the brightness of your lights. Use the rainbow icon to get color gradation. The synchronization / desynchronization icon gives you the possibility to match the color of the selected zone with the other zones. The Water Care page let’s you set up your filtration and heating settings. 5 pre-sets configurations are already available for selection. All of them can be customized to your specific needs. Spa is always in economy with the set point reduced by 20° F.
Factory set filtration settings, economy mode not active. Economy mode during the peak hours of weekdays and normal mode on weekends. Always in economy mode during peak hours, every day of the week. In economy mode from Monday to Friday, and normal mode on weekends. In this menu it is possible to add, remove or edit schedules of economy or filtration. Touch the Economy tab to modify the economy schedules and Filter cycle tab for the filtration schedules. You can add economy or filtration schedules by touching the « + » symbol. To delete a schedule, touch the trash can icon at the right end of the desired line. You can modify the programmed schedules by selecting one and adjusting it. You have several scheduling possibilities (Monday to Friday, weekend, every day, or single days). The schedules will be repeated weekly. The time and duration are set in 30 minute increments. Once you have set the schedule, use the arrow at the top of the page to go back to the water care screen. Selected water mode will be highlighted with a green dot. When an economy schedule is active, the set point is reduced by 20 °F, which means that the heating system will not be engaged unless the temperature falls under 20 °F of the spa's set temperature. The filtration schedule activates the main filtration pump, most likely pump 1. If your spa is equipped with a circulation pump configured to run 24 hours, the app screen will show "Purge cycle" instead of "Filter cycle". The purges are preprogrammed for a fixed number of minutes. Only the start time can be modified. Each task has its own reminder duration based on normal use. The owner can reset his reminders after the spa maintenance by pressing the reset button. You can reset each reminder separately or all of them by pressing the "Reset reminders" button at the bottom of the page. In the spa settings menu, the in.touch network menu allows you to have access to information about the RF connection between the Home and the Spa transmitter. To change the channel, please click on the channel line. You can also reset your channel to default. The change channel page allows you to change the channel used by the two in.touch 2 transmitters. In some cases, this can help you to have a stronger signal. This menu lets you change the units used to display (˚F or ˚C). Heating management will appear when an in.grid is detected. You can change your in.grid heating management without the need to open the spa skirt to change the jumper. he lock mode menu will appear when the feature is enabled in the low level of your spa control system. A compatible keypad must also be used. In the settings menu (up right corner), you can add a spa from local network, account informations, tutorials and terms of service. This page displays all the spas detected by your application. To detect your spa, you need to connect your mobile device to the same network to which you have connected your Home Transmitter. Once you have made a connection with the spa, its name will be saved on this page to allow you to connect to it from anywhere. The Account section gives you access to your account information. This section gives you a quick overview of all your in.touch 2 application's functions. When you receive an invitation for Technical Support, a red circle will be displayed next to the "account setting" logo (top right corner). By giving access to your spa to a technician, he or she can help you to solve some problems you may have with your spa. All the invitations you may receive are under the dealers tab in the "settings" menu. To choose an invitation, simply click on it. You will then see a new window authorization to confirm. You can also decline the invitation at any time if you want to. Once you've had a dealer on your in.touch 2 app, you can, at all times, have access to his information. If you don't want your dealer to have access to your spa anymore, simply swap to the left the "Allow access to your spa" button at bottom of the page.